This months Mother Goose Time Discover the Dessert theme is perfect for our family. Week one is all about the rodeo. Between visiting the rodeo in Kansas during our Army days and the rodeo when my husband worked in out on the River Ranch the kids have a love of the rodeo. 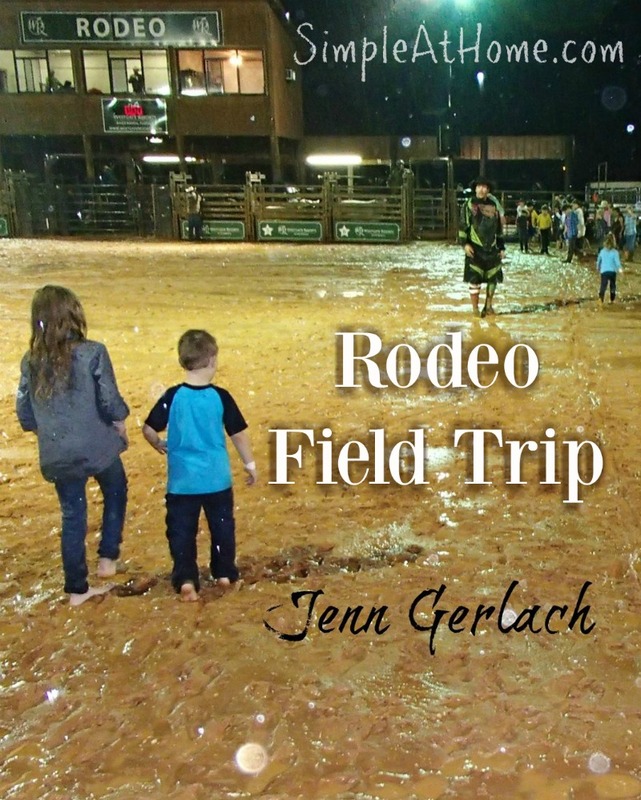 The perfect field trip to go with this theme is well… You guessed it the RODEO! The rodeo overs a real emulsion lesson on country culture. A great family activity. Most Rodeos in the South include prayer. We had so much fun on our trip even if it did rain and the kids came back from the calf run covered in mud. Heck I am pretty sure that was their favorite part. Don’t miss our free field trip log. We love heading to the rodeo for a good evening of family fun. The learning is a bonus. When looking for the perfect field trip rodeo look for a location with fun activities such as games for the kids. Pictured above is the calf run where all of the children got to chase a calf for a prize. Petting zoos are always a favorite at the rodeo. This is one of those field trips you can dress up for and really have fun with. Cowboy hats, boots, and everything in between.